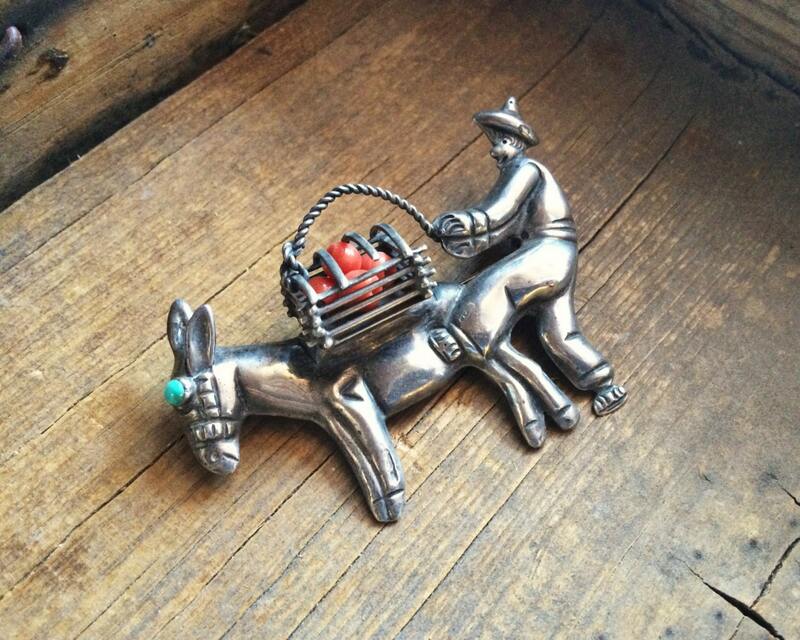 If you are a collector of Mexican silver, and specifically old Mexican silver brooches, this is a special piece indeed. 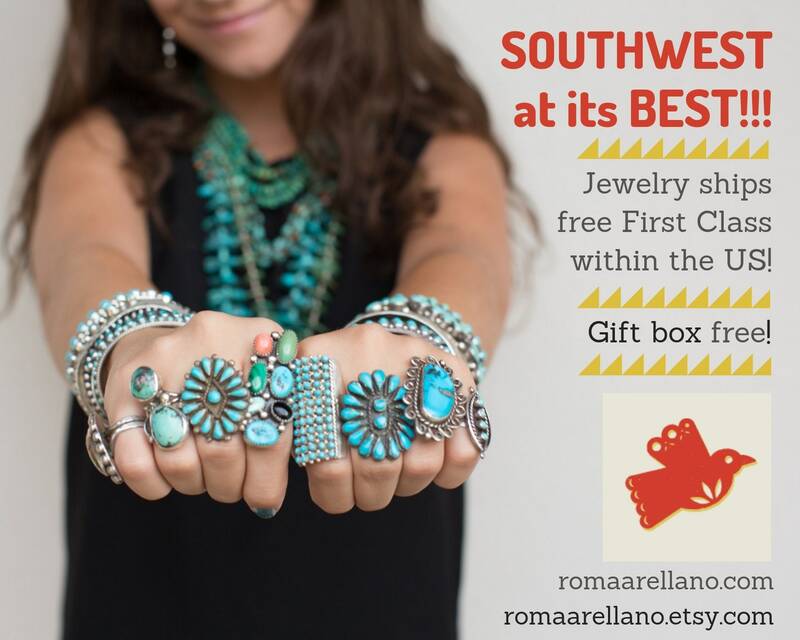 For one thing, the subtely stylized design with slightly enlarged Mexican hombre's lege. 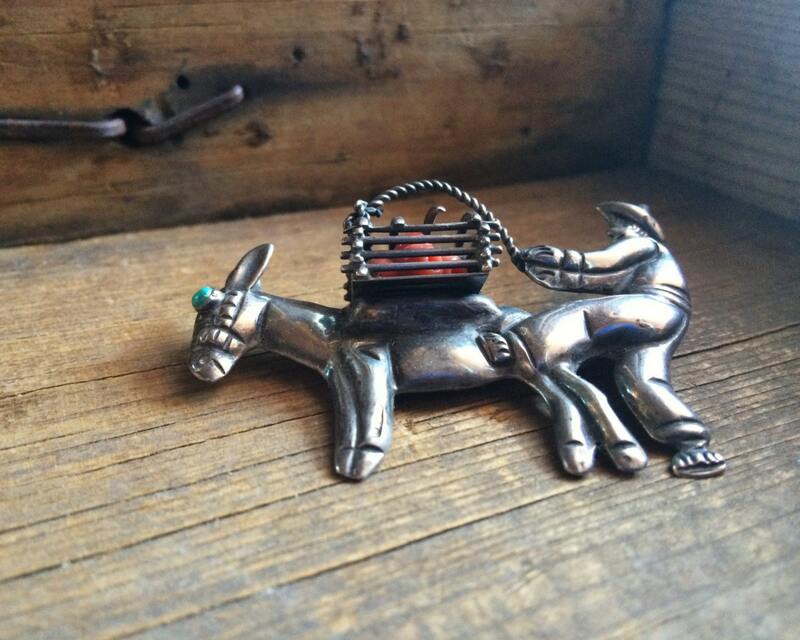 Then there's the three dimensional basket coming off the burros's back, filled with coral beads that actually rattle. 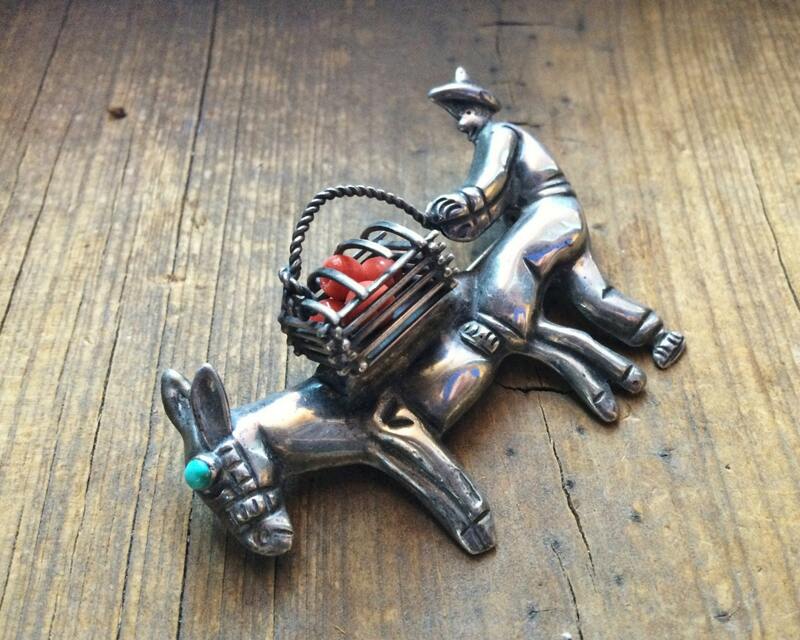 Plus the beautiful natural turquoise eye of the burro, which has hues of blue within a single small cabochon. Finally, the gorgeous patina. And, well maybe finally finally, the large size. The piece has a stamp on the back that is hard to read, but I believe refers to the maker and the stering content. Circa 1950s to 60s. Measures over 2-1/2" wide by just under 2" tall. 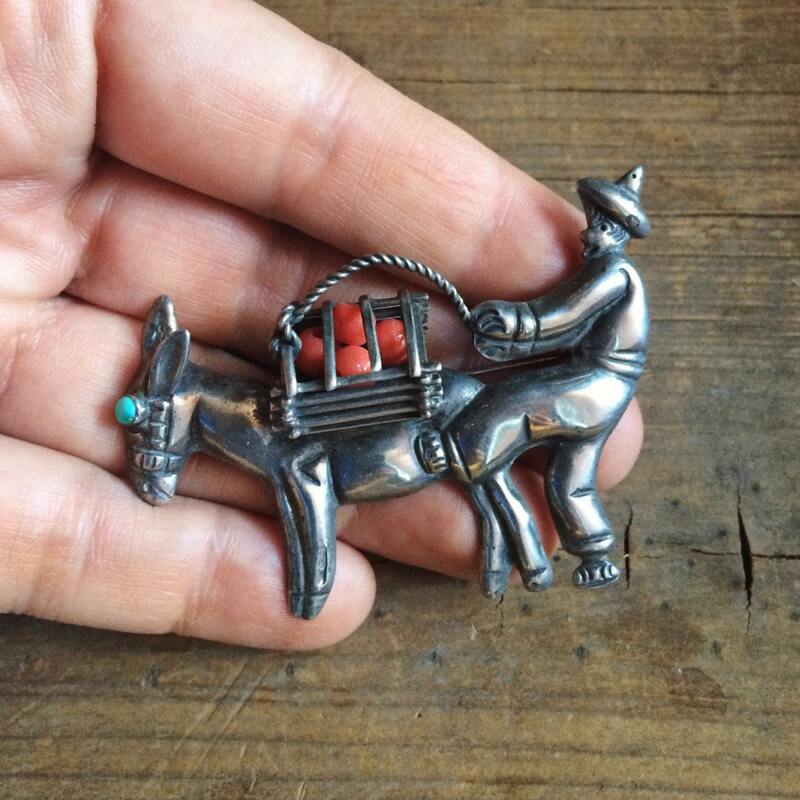 Dark patina, and the hombre's arm is not flush with the rest of the pin, which I think is by design. In very good vintage condition. 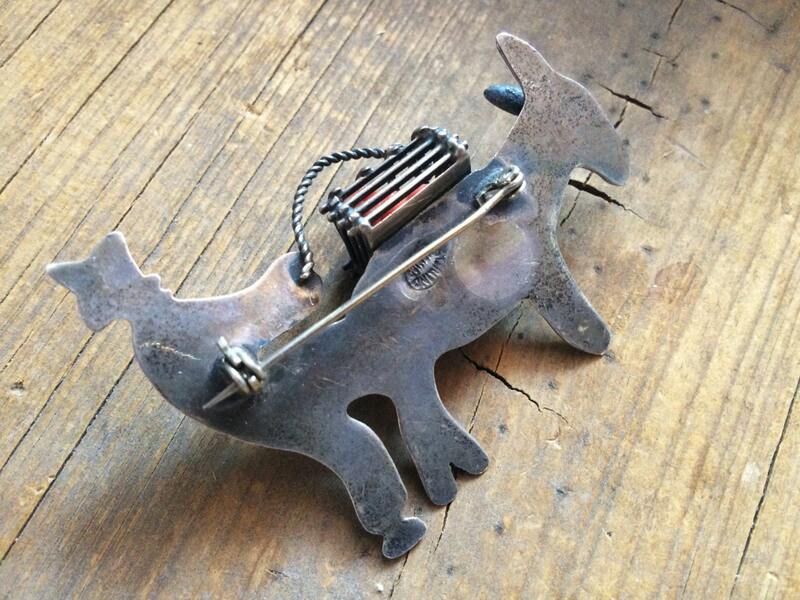 A fabulous piece of Old Mexico.